Use these handouts to review basic steps needed to successfully search and complete research tasks. Handouts are kept up-to-date by Seminole State librarians. Have questions? Contact a librarian! 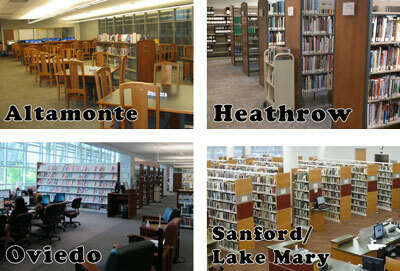 Seminole State has four campus libraries to serve you: Altamonte Springs, Heathrow, Oviedo, and Sanford/Lake Mary. Feel free to stop by during library hours to talk with a librarian to help with your research needs. You can view our on-demand Research Foundations modules for an overview of the research process at any time.